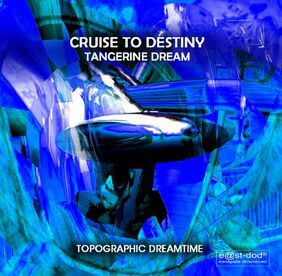 Tangerine Dream had planned to perform live on the Cruise To Edge 2013 tour on a vessel in the Carribean Sea, but unfortunately had to cancel that journey only a few weeks before the event due to Edgar Froese having had an accident and Linda Spa being ill. But back in January the band had a rehearsal session in their studio in Vienna where a number of tracks to be performed during that tour were played. These rehearsals (which have studio quality) were then released in April on the Cruise To Destiny album. The re-recorded versions differ in varying degrees from the original versions. Notably, no less than five of the 13 tracks origin from albums of the Melrose Years (1988-1990) -- a short period in TD history which was somewhat underrepresented on live performances during the recent years. PS: Enjoy many tracks of the setlist as new re-recorded versions!" The CD release comes with an 8-page booklet featuring numerous photos from (most probably) the before-mentioned studio session. 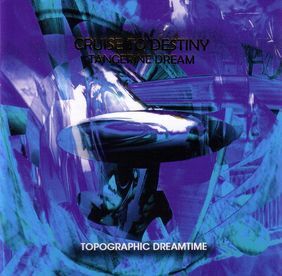 The liner notes by Edgar Froese are a bit more extensive than the notes provided on the web site (see above) but essentially give the same information. Credits are present on the clear tray insert, the back side features the track list.